Lee Designs, Inc. has been in business since 2003, specializing in contemporary residential interior design and remodeling. My business philosophy is to help my client create the home that best reflects their personality and allows them to live the way they are most comfortable. I am a resource person who is organized, systematic and focused on follow through. I will work together with you to make the process fun and enjoyable! 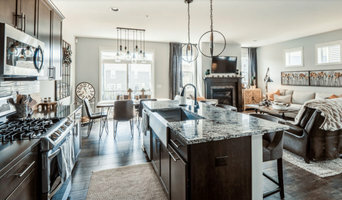 MARCEAU INTERIORS is a full-service, residential and commercial interior design firm with a distinguished reputation and over 15 years of professional experience. Whether you need help with minor updating, large-scale renovations or new construction, we'll help you achieve the look you want. On time and within budget. The Sitting Room was established in 2003 by owner, Kate Regan. Our interior design firm works with clients in the Minneapolis St. Paul area and across the country on new construction, remodels and vacation homes. 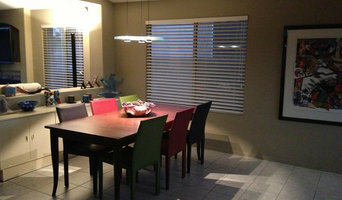 We love what we do and enjoy an excellent reputation among regional builders, remodelers and architects. Working from concepts to blueprints to installation – there is no project too large or too small for us. Known for fresh ideas and unique products – we source items from all over the world. Always seeking inspiration, we stay on top of industry news and trends by attending furniture and accessories markets throughout the country all year long. Jennifer's award winning designs are primarily residences and second homes, developing designs that reflect her clients’ personalities and lifestyles. Whether working with simple accessories or comprehensive home designs, she keeps her clients feeling comfortable and back for more. Styling a space is a partnership and requires open communication, the process should be fun, and always a reflection of the client. Jennifer has a bachelor’s degree in Home Economics, with an emphasis in Interior Design and Textiles, from the University of Nebraska at Lincoln. She has received several Spirit Awards in her 25 years of experience. She is always learning and seeking out the latest design trends, as well as keeping true to the classics. Bliss Interior Design is a full service interior design firm offering design services in the Minneapolis-St. Paul metro area and suburbs including Western Wisconsin. Our goal is to provide homeowners professional guidance through their remodel, redesign, or new build. We use innovative products and creative design concepts to create rooms that function and feel as good as they look, on time, and within budget. It is our belief that great design can be affordable and we work with clients on a wide variety of budgets. DESIGNS! 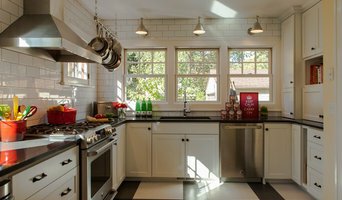 is a full-service interior design studio, led by Susan Hoffman, ASID, that specializes in residential interior design. Our discriminating clients appreciate high quality design, attention to detail and personalized service. Our extensive on-site library of resources streamlines the design process. 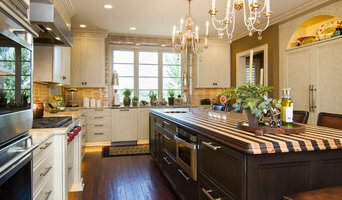 Interior Designer and remodeler specializing in eco-friendly, award winning design. Twin Cities' Award-Winning Interior Designer, Best of Houzz 2017!